Sara Pinto is a star! The other day I went to visit a friend of mine who is a brilliant illustrator. Like me, she is a North American living in Scotland, and like me she has two kids who sort of inspired her to get into writing and illustrating children’s books. Her name is Sara Pinto and she is full of amazing and incredible ideas! For example, one of her books is called Apples and Oranges: Going Bananas with Pairs. The idea for this book came from a question a teacher once asked Sara when she was five years old. The question was, “What do apples and oranges have in common?” The teacher was probably expecting her to say that they are both fruit. What she actually answered was, “They both don’t wear glasses.” I’m sure the teacher was surprised, but she couldn’t argue because it was true! Sara’s books are always quirky and full of surprises. Her first book, The Alphabet Room, has a door on each page that you open up to find new things (Apples, Bowls, a Cat, a Dog) filling up the room. Each time a new page is turned the things have changed places so you have to search each time to find them all. 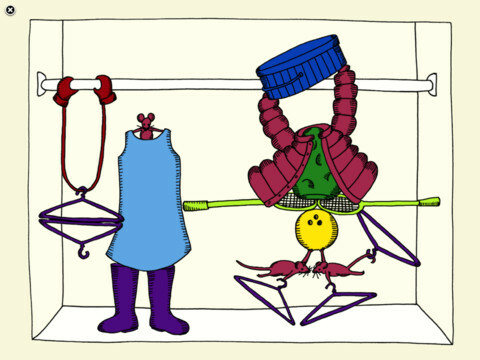 As a follow-up to her clever ABC book, Sara then wrote and illustrated a counting book called The Number Garden. This one uses little gates you have to open to find one sun, two rabbits, three lawn chairs, and so on. 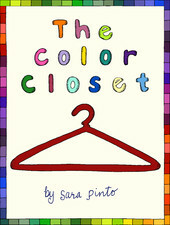 Sara’s most recent creation, The Color Closet, is an iBook for the iPad. It’s all about colours, but these are colours you’ve never heard of before! 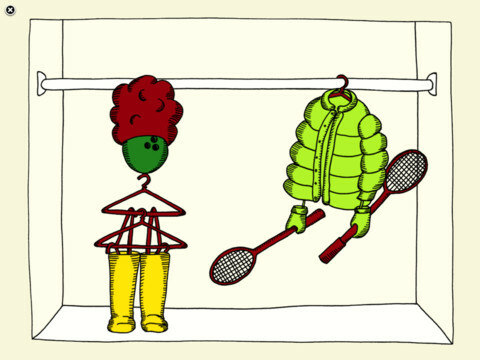 As you click to open up the closet, all sorts of unusual things appear, and a touch will turn them lime, turquoise, mustard, cerulean or custard. What a fun way to discover how many colours there are! It’s always a pleasure to spend time with Sara as she is so full of fun and crazy ideas. I always come away feeling inspired and encouraged! Thanks, Sara! When I write stories I often start with a character. I choose a name and think about what that character is like (shy and quiet, funny and full of mischief, clever and brave). 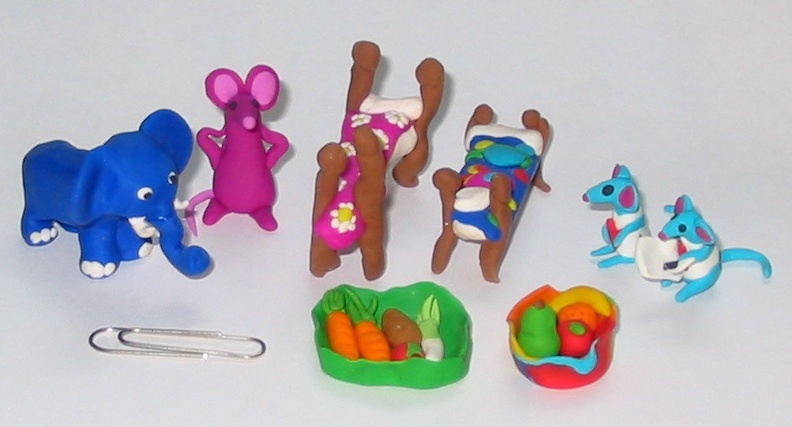 Here is a picture of a group of characters I came up with. Don’t they look delicious? They are all friends and they live on Treat Street. 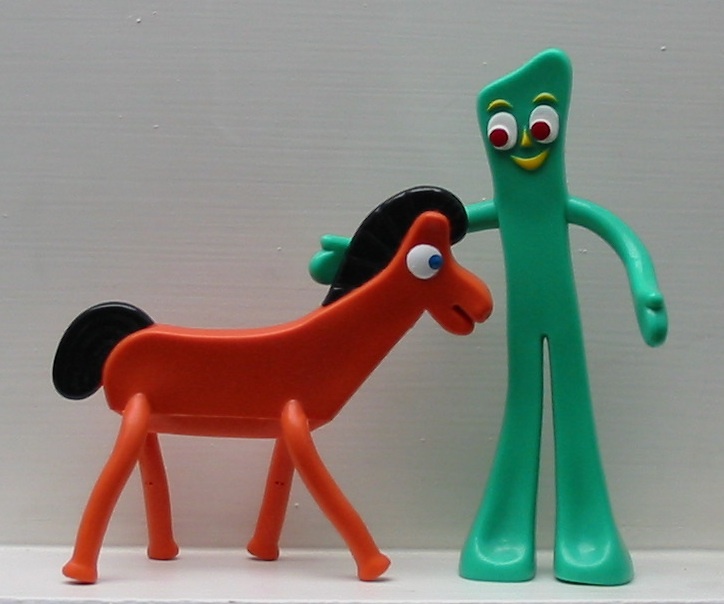 What sort of personalities do you think they would have? What kind of adventures might they get up to? Maybe one is planning a party, or another is trying to get fit and healthy. 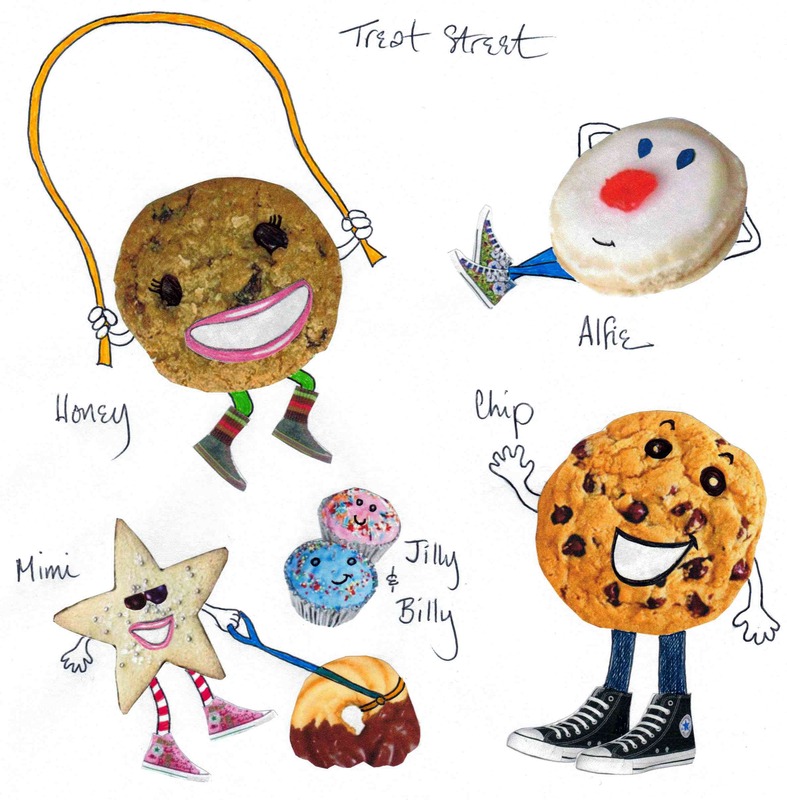 Maybe you can write a story about the Treat Street friends. Then click on the little grey speech bubble on the top left and tell me all about it!